Ookayy, firstly, if you're expecting a cancer book where the pretty girl with cancer falls in love with this handsome dude and then her cancer is miraculously cured and they live happily ever after to the end of their cancer-free days........Do. Not. Read. This. Book.......Seriously........This. Is. Not. A. Happily. Ever. After. I. Repeat. NOT. A. Happily. Ever. After. Book. 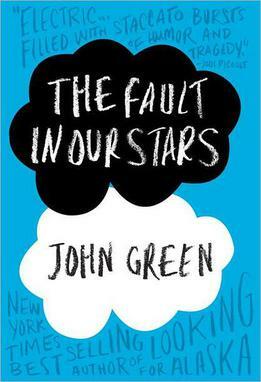 The book as a whole: It had an impressive array of emotions all packed in; happiness, contentment, hilariousness, sadness, anticipation (not the action kind tho), trepidation, distress, heart-breaking sadness (yes it is it's own emotion), quirkiness, confuzzlement, awesomesauceness............yeahhh! Now the writing: And here lies my problem. The writing was nicely structured and sophisticated, but there were all these riddling sentences and poetry that I felt were maybe imperative to the understanding of the story, and thus I felt like I wasn't seeing the whole thing, the whole picture. Sophistication is WONDERFUL but I felt that maybe the writing was maybe a little overdone and full of an overabundance of metaphors......which kinda wrung mah brain like a frilly dress shirt soaked with cold, dirty water. XP *pointed look* You get the idea. But heyy, that's just me. Some of the story wasn't really my kind of thing (aka the depressing stuff), but I will state that it was well done.